Director Ryan Murphy's dark comedy The Politician will arrive on Netflix in September. 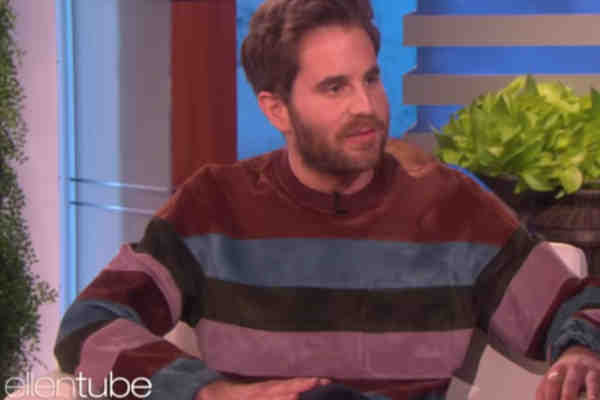 The Politician stars recently out actor-musician Ben Platt as a wealthy Santa Barbara high-school student named Payton Hobart. “To get elected Student Body President, secure a spot at Harvard, and stay on the singular path to success, Payton will have to outsmart his ruthless classmates without sacrificing his own morality and carefully crafted image,” a synopsis from the series reads. The show's lineup includes Gwyneth Paltrow, Jessica Lange, Zoey Deutch, Lucy Boynton, Bob Balaban, David Corenswet, Julia Schlaepfer, Laura Dreyfuss, Theo Germaine, Rahne Jones, and Benjamin Barrett. Platt, who recently came out gay in the video for his single “Ease My Mind,” has appeared in Broadway productions of The Music Man, The Book of Mormon, and Dear Evan Hansen, for which he won a Tony. His film credits include Pitch Perfect, Pitch Perfect 2, and Ricki and the Flash.